MY PICOSURE TREATMENT EXPERIENCE - DID IT WORK? DOES IT HURT? As per Cynosure website: PicoSure® is the world’s first, fastest and most effective picosecond aesthetic laser. This unparalleled breakthrough in laser technology delivers ultra-short pulse bursts of energy to the skin in trillionths of a second. Picosecond pulse width is 100 times shorter than nanosecond technology, enabling unmatched photomechanical impact for better clearance with fewer treatments and less fluence. Picosure laser toning is comparable to nanosecond or traditional Q-switched lasers. It was explained to me on the day of treatment that Picosure is more effective than laser treatment. You will need lesser sessions and it will achieve better results. Picosure will also assist with smoothing out the textural problems of your skin. I was advised that the level of bacteria on your skin will be assessed prior to your picosure treatment. Treatment may not be as effective if there is a high level of bacteria. Crystal - the owner of Bella Pelle (also a highly experienced registered nurse who had worked as a theatre nurse in plastic surgery before venturing into lesser invasive cosmetic procedures) advised that she would not perform Picosure on clients with a high level of bacteria on their face as it will not be effective. My cleansing method is quit rigorous. I double cleanse, gentle exfoliation once a week and mud mask once per week. When I remember, I will do a chemical exfoliation. 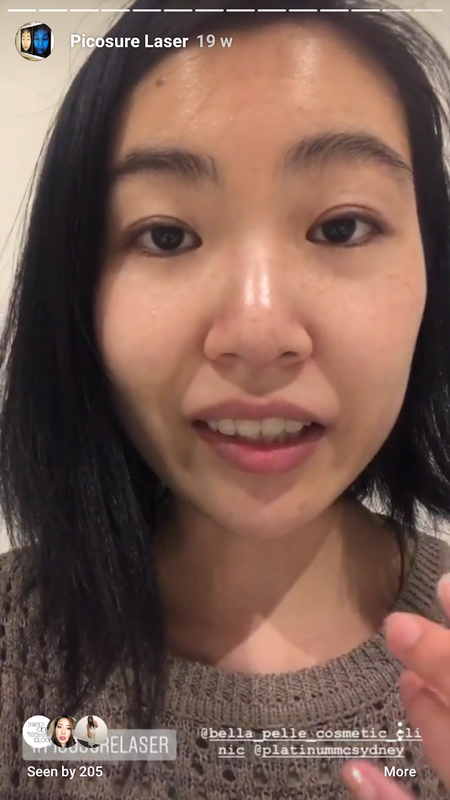 I removed all my makeup before treatment and applied numbing cream which was removed prior to the treatment. I lied horizontally on a bed and I had to wear protective patches on my eyes to protect them from the pulses. The pulses were only slightly painful... I'd say less painful than laser. However the sensitive parts from my cheekbones did hurt. 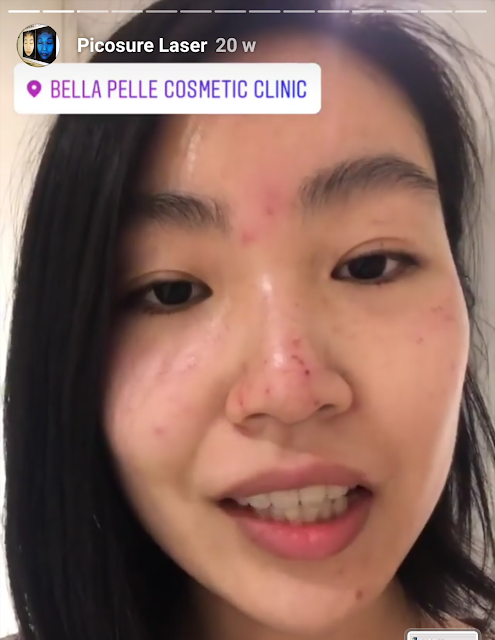 The procedure lasted for about 10-15 minutes, this included specific spot treatment and overall pulses for the entire face. Crystal provided me with a cold compress to prevent swelling etc. I also had LED light therapy to help with the healing process at the clinic. I was not allowed to us any harsh skincare including vitamin C for approximately 2 weeks. I also had to be gentle with cleansing. Following my treatment the parts that received spot treatment and the sensitive areas were red. Overall my face wasn't too red and Crystal advised I had reacted well to the treatment. It is imperative that you protect your skin from the sun after Picosure. I applied SPF 30 sunscreen before heading out and wore a hat. Redness diminished the following day after treatment. The areas where I had received spot treatment got darker and I was able to see the formation of a small scab. After 5 days, the pigmentation scabs had fallen off my face revealing fresh skin with no pigmentation. Full pigmentation reduction, most of my freckles have either faded or fallen off. My pores were reduced and uneven skin tone looking a lot better. 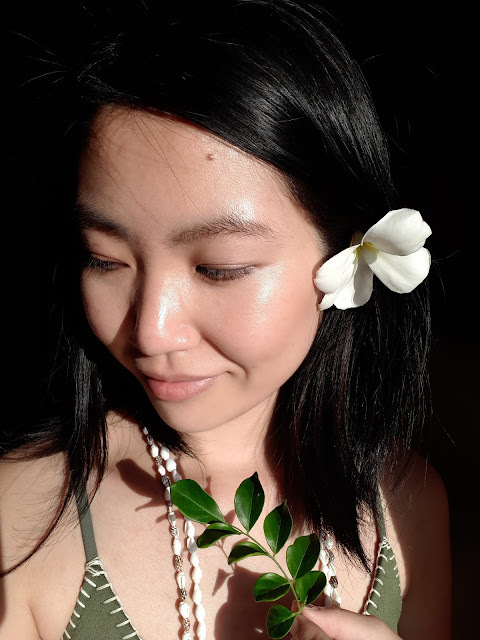 I went to Fiji for a week between the 5 months and got a lot of sun, I did SPF like no tomorrow but I still came home with a distinct tan. 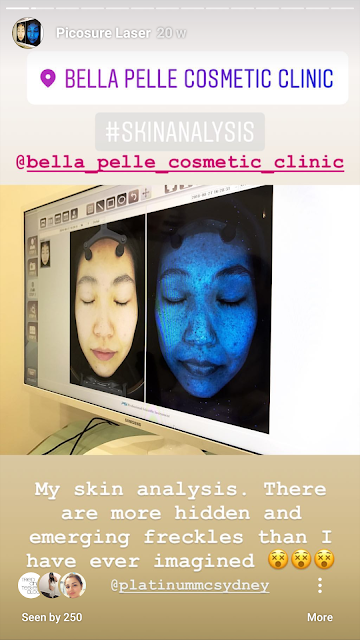 In terms of the uneven skin tone situation, I think I needed more follow up treatment to maintain the plump skin but the condition is better overall. Pigmentation wise a couple of pigmentations did come back (on my nose and on the side of my face) while the rest did not emerge which I was quite happy about. I've never had laser pigmentation removal so I can't really comment on the comparison. But I was quite happy with the outcome - after just 1 session. However it is a very expensive treatment so I suppose the result matched my expectations. $750 - $1000 per treatment. in Sydney. It's quite hefty. If I had the money, I'd go and get the further sessions. 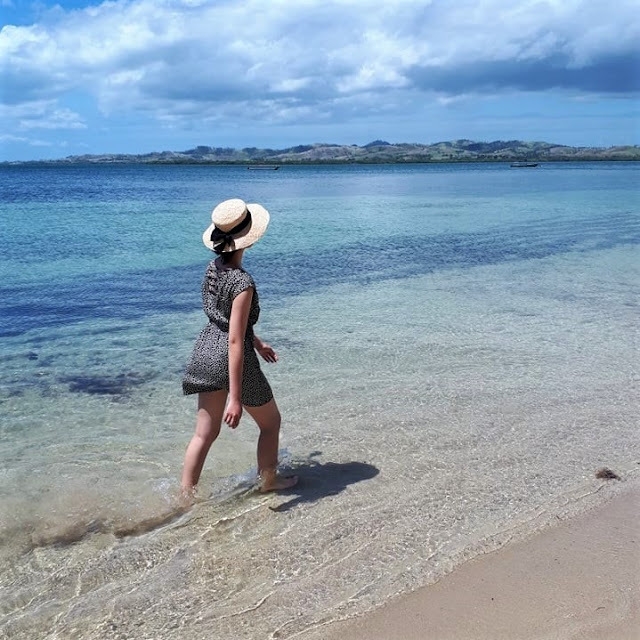 There are many islands surrounding the main island of Fiji and many tours/cruises you can take to go island hopping. These can usually be booked online before your trip or while you are in Fiji, by your hotel. If you are time poor, do a day tour. We did the Robinson Crusoe Island Day and Night Tour it cost approximately $297AUD per person. It was our biggest spend during our trip but it was worth our while. We were taken on a village tour for a couple of hours and then whisked away to Robinson Crusoe Island where the water was pristine. We were able to see all the fish in calf deep water. There are so many beautiful reefs in Fiji, it would be a shame if you don't go snorkelling! 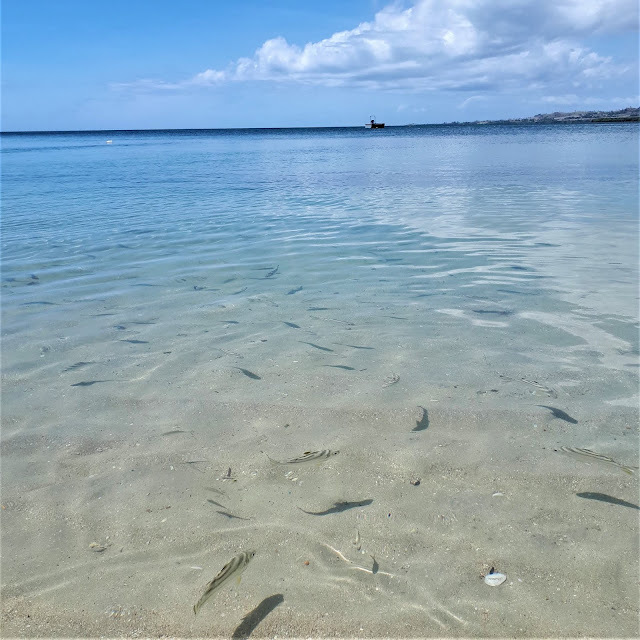 We went snorkelling in Natadola Beach. There was a reef fairly close by the beach so we didn't need to swim out too much we saw the most beautiful fish, I spotted a clown fish hiding in the reef. 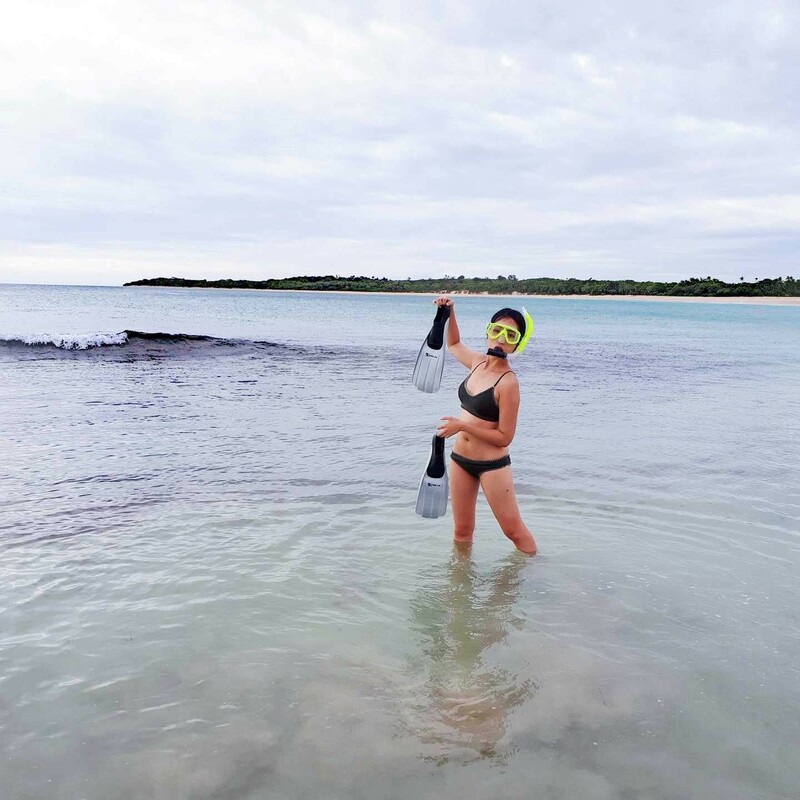 It was my first experience snorkelling in Fiji and it was the best decision. Make sure you have your under water cameras ready! We rented our Snorkelling gear through our hotel for $10FJD per set for the day. A village tour in Fiji is not to be missed. It's a different way of community living. We went on two tours, one to the Sanasana Village and the second one with Robinson Crusoe Tour to Vusama Village. 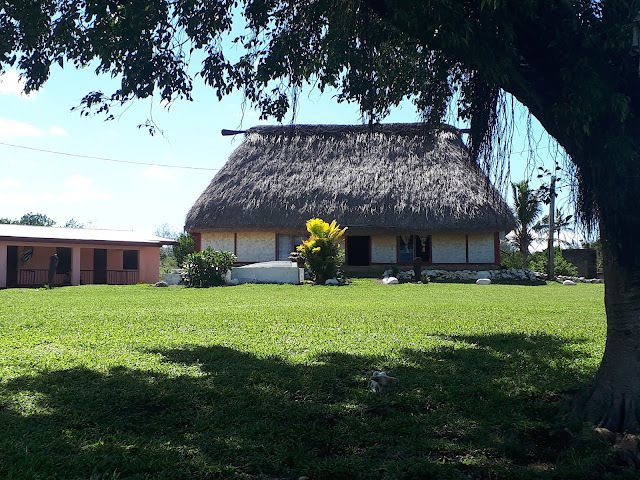 We went on the Sanasana Village Tour with our hotel staff, it was $15FJD each, half of the profit went directly to the local village which we were really happy about. We were asked to remove our hats and sunglasses when approaching the village, women had to cover their shoulders and knees. The community living is not what we had expected, people lived in a block of land that is owned by the Chief, without fences or power lines. The houses were mostly made from tin or cement, there were no physical doors or windows. Simply squares or a rectangle. We were taken to the Chief's bure and met the chief. The villagers were extremely happy to see us, everyone was shouting Bula! with a huge smile every time they saw us. On our way back, our guide must've told them that he was taking us for a village tour and I assumed that they knew 50% of the profit goes to the village directly so each household greeted us and thanked us. If your hotel offers a local village tour, don't skimp out. It was the most authentic experience we had and knowing 50% of the profit goes directly to the village, it was even better. You will be taken to a place to buy souvenirs. We wanted to support the locals so we made a purchase. Our Vusama Tour was different, we were able to see the positive impact brought by tourism. 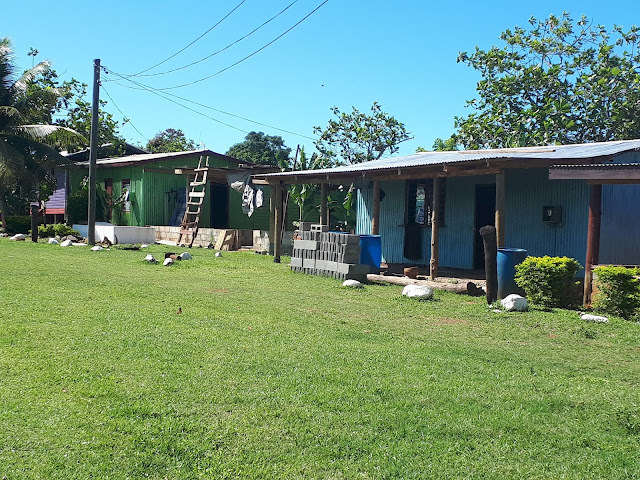 Vusama village was a lot more remote than Sanasana however they had a power lines, physical doors and windows, more resources and a church built in the village. 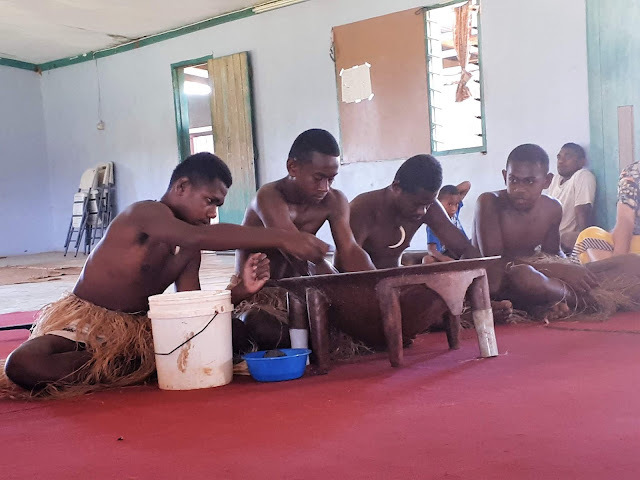 Kava is the national drink in Fiji, we were told that people drank several cups per day to help them chill, wind down and relax. Kava drinking comes with a traditional Kava Ceremony. It is often a drink people offered to their guests. Kava is made from root grinded into powder. We went through 2 kava ceremonies. The first ceremony was in Vusama Village with the village chief and it was very formal. The second was in a store in Nadi which I will speak about later. We experienced a numbing effect, we did not experience any high or sudden relaxation. I think this depends on how much kava you drink. 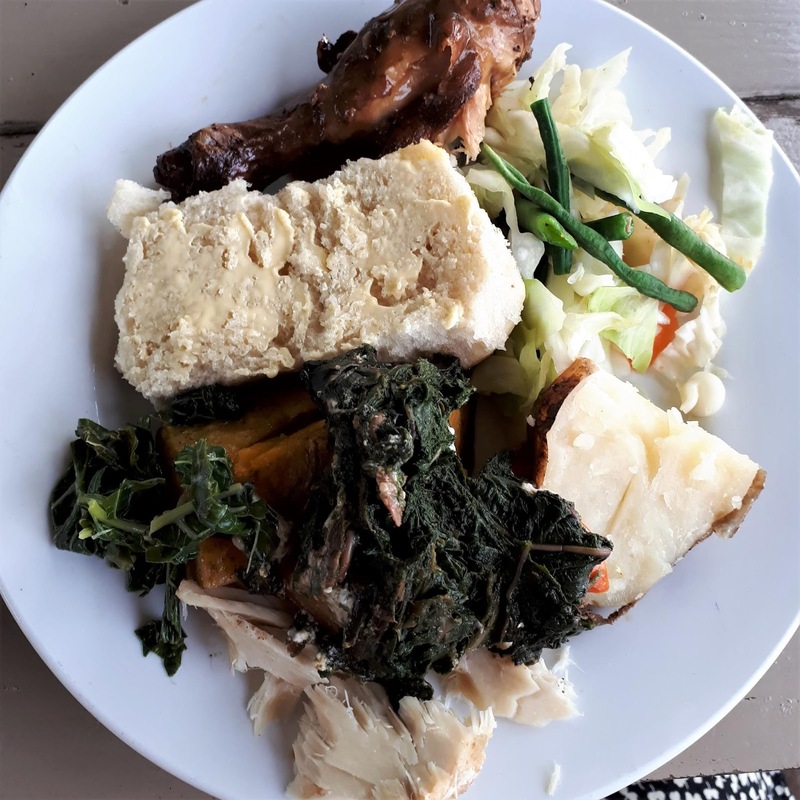 Lovo is a must have when you are in Fiji. It's a traditional cooking method where fish, beef and chicken are wrapped and cooked underground essentially. 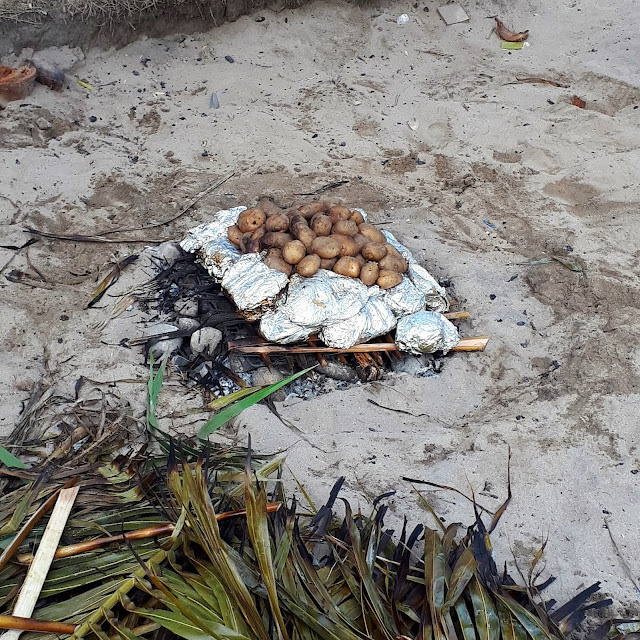 We experienced this during the Robinson Crusoe tour. I personally found the fish a little bit tough but the chicken, delicious. My partner loved the fish. This is not such much a do, it's more of a "beware" story. 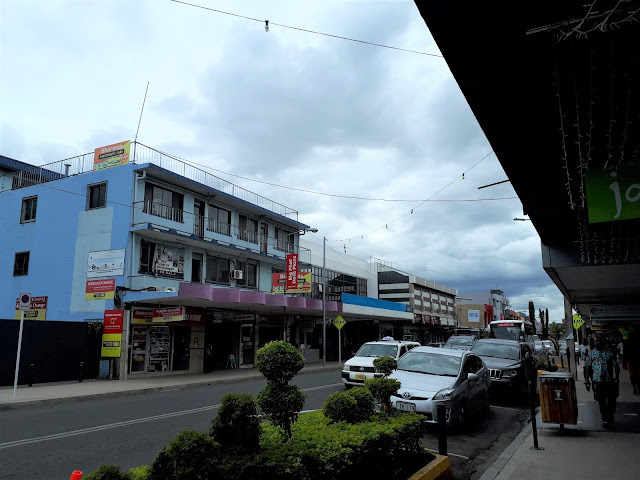 We went to Nadi to check out the town and do some shopping. There were a few tourists wandering around. We were dropped off at Jack's which is one of the most popular souvenir franchise in Fiji. As we walked down the street, several shop owners tried to get us to go into the shop and we did but didn't buy anything. One guy from a shop named "Fijian Souvenirs or Local Souvenirs" who was very charming, very friendly asked us to go into his shop which was all wooden handcrafts. Gave us a spiel about how dodgy non-native Fijians are in Fiji and that we should support local Fijians. We declined and he said "how about I will give you my card so you can come back when you are ready." We stupidly agreed and was lured into the shop for the non-existing card. He started with a Kava ceremony then tried to sell us kava, cigarettes and weed. Following this he tried to sell a $250FJD wooden statue to my partner, he claimed that the wooden statues are all locally carved and made - no, we saw the same items at the airport for $16FJD. Luckily we budgeted our shopping trip and only had $100FJD with us.. in which we had already spent $30. My partner declined the item. He tried to push a $150FJD item on my partner. I went over and said we didn't bring much money today and tried to take my partner out of the store. This man strategically placed himself so that he was blocking my partner and the entrance/exist. He kept asking us how much we have, we said not much and that we don't have cards or anything. By this point he was a bit annoyed and told us to go and look at the cheap stuff. Eventually we purchased a turtle necklace for $20FJD. which was still a rip. On our way out he literally forced us to givea donation to the local village into his massive "turtle bowl" we chucked some silver shrapnel into the bowl as it's money we didn't want to take back and left. An hour after this experience we both started to feel funny in the stomach. I told my partner that I was almost certain that he fed us tap water disguised in a Fiji Spring water bottle. We went and had lunch then I had a full fledged upset tummy 2 hours later. But I was ok once everything came out (sorry TMI!). We were fine for the rest of the trip. To be honest, this didn't dampen our experience, it was an experience on it's own. I have never seen anyone so pushy before. We still had a great time in Fiji. Bottom line, be careful and try not to get scammed or drink mysterious bottled tap water!